As the Official Hotel Sponsor of GO! St. Louis, Drury Hotels provides discounted hotel rates to Marathon participants, family and friends! Not only can you save with discounted room rates, a percentage of the proceeds also provides support for GO! St. Louis. Save big with discounted rates for the GO! St. Louis Marathon & Family Fitness Weekend April 5-7, 2019. Make your reservations now for the GO! St. Louis Marathon & Family Fitness Weekend April 5-7, 2019. 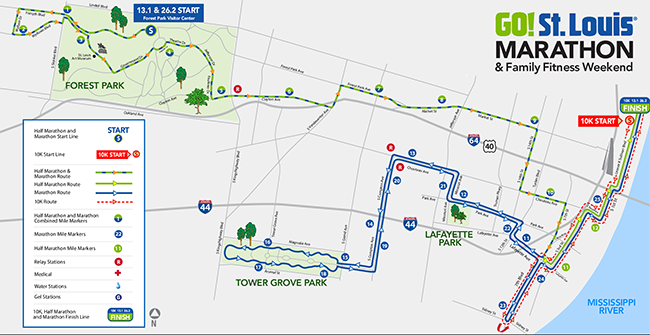 You’ll find four St. Louis hotels located just minutes from the start and finish lines! 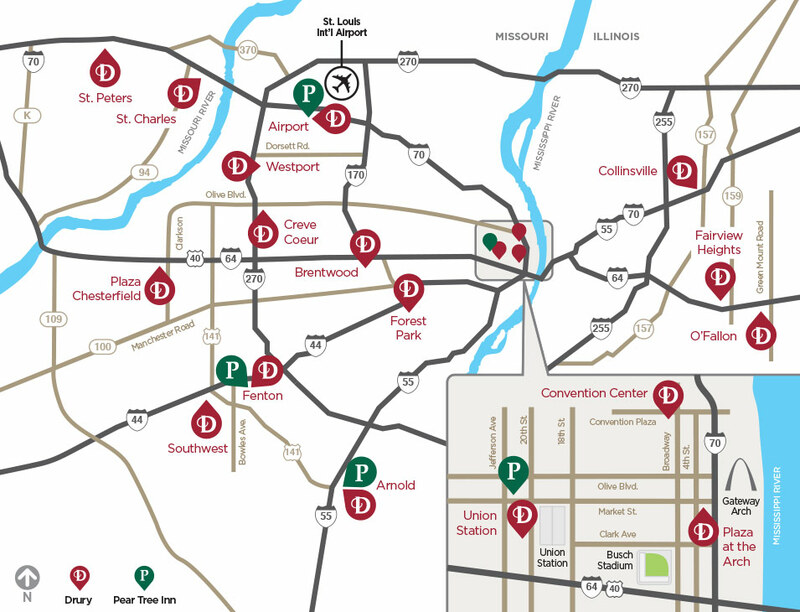 Great discounts are also available at Drury Hotels throughout the St. Louis area! For reservations, book online and use promo code "GOSTL" or call 1-800-DRURYINN and ask for the "GO! St. Louis" rate. For reservations, book online and use promo code "GOSTL" or call 1-800-DRURYINN and ask for the "GO! St. Louis" rate.